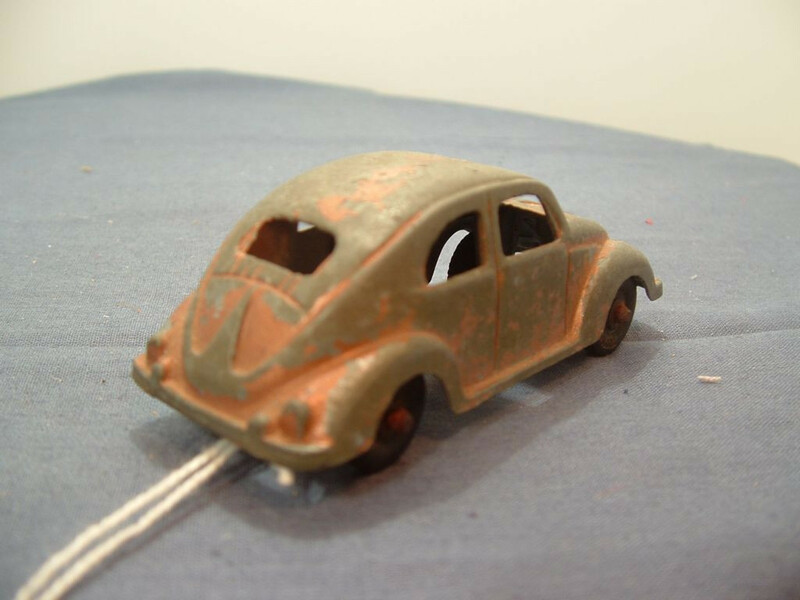 This is the Tootsietoy Volkswagen Beetle issued between 1960 and 1964 in Gold. This isthe 3 inch version of the model which was also produced in a 5 inch version. 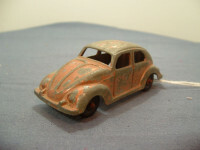 This is a one piece casting with all detail such as bumpers, lights, body lines and trim, etc. cast into the metal. There is no glazing or base to the model. Unlike most Tootsietoy models, the under-side the model carries no manufacturer's marks or country of origin details. All wheels are of the solid black plastic hub abd tyre style. The domed axles pass through the wheels and are peened on the right hand side of this model. 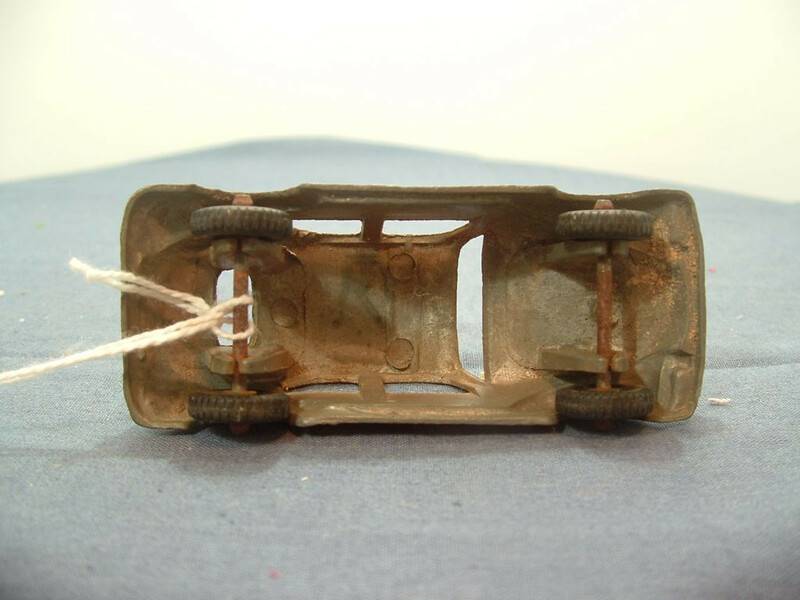 The axles are held in place by being pinch clamped to columns protruding from the underside of the casting. This model was issued between 1960 and 1964. It has an approximate scale of 1:54.